Serving Cleveland since 1993, Re-Bath is more than happy to offer free in-home consultations so that customers can explore their options. At Silver Stripe Builders we strive to use only the best materials and superior craftsmanship for all of your home remodeling needs. Our primary goal is your complete satisfaction! North Coast Accessible Homes is the sister company of North Coast Community Homes, our region’s premier developer of accessible homes for people who have disabilities. For the past six years, JDR Home Improvements has been offering the best construction services that money can buy. We welcome the opportunity to meet you and serve your remodeling & construction needs! Alix Home Solutions is a Cleveland General Contractor that specializes in interior home renovations and services the Greater Cleveland area as the #1 home renovations company. Kitchen & Bath, Etc. 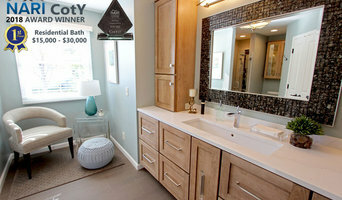 is an award-winning kitchen and bath designer in Chagrin Falls. They balance their traditional principles with a penchant for breaking the rules. We're a team of professionals working with real estate investors, property managers and home owners. We specialize in problem solving solutions and quick turnarounds for your property investments. Welcome to Latina Design-Build Group. We are an A+ Better Business accredited company. With 50 years combined experience, we will guide you through your home renovation or building project. At Medina Exteriors & Remodeling, we have been bringing out the best in homes throughout Medina and Summit counties for over 15 years. We specialize in exterior and interior remodeling. CarTeCor is a full-service home remodeling company, with over 25 years in the industry specializing in the design and build of kitchens and baths, full home remodeling, and project management. Having successfully completed well over 1,600 residential and commercial projects with 100% client based referrals, you can trust that we have the skill and experience needed to complete your project. We can help you transform your house into your dream home with superior style and quality using the latest technology and building materials. We are a Family owned and operated General Contracting business licensed by the State of Ohio for over 23 years located in the Supreme Window and Glass building on S. Taylor Rd in Cleveland Hts Ohio. From choosing cabinetry and floor plan layout to determining which countertop surface suits your lifestyle, our experienced staff helps you bring your dream space to life. Simply Kitchens and Baths is the one stop resource to creating a new look for your kitchen, bath, home office or living space. 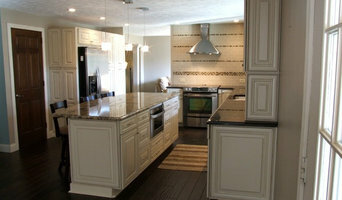 Oster Services is a custom build and remodel firm located in the western suburb of Lakewood, Ohio. We believe every customer deserves the best craftsmanship possible, at a price that is accurate.